Vehicle CCTV is becoming increasing popular with many consumers choosing it as the best deterrent over a standard vehicle alarm. We have carried out installations for a whole range of sectors ranging from Bus and Coach operators to Mini-Bus owners and Tradesman alike. Our Van CCTV Systems can help gain substantial evidence should your van be involved in an incident or targeted by thieves looking to steal your valuable equipment. Van CCTV systems usually consist of 3 cameras (with the option for more) and a Digital Video Recorder. One camera is mounted on the dash, allowing for a drivers eye view of the road ahead when the vehicle is in use, can also capture potential images of thieves approaching the vehicle form the front. The Rear Camera is often mounted high up above the rear doors allowing the wide-angle lens the best possible view. 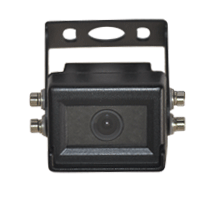 This camera can serve two purposes, one as a reversing camera that can display images to the driver via an optional monitor and the second as the rear facing CCTV Camera. Our third camera is mounted inside the cabin with a view of the cockpit area. Again this serves two purposes. One as a driver behaviour camera and secondly for gaining evidence should the vehicle be broken into. All our cameras are equipped with infrared technology allowing them to generate clear images in complete darkness. The front and rear mounted cameras can generate image from up to 15 meters away in complete darkness with the internal cabin camera working up to 4 meters away. 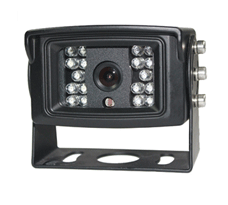 The cameras image are produced in great quality and automatically recorded via the internally mounted Digital Video Recorder, or DVR for short. The DVR uses very little power and can be installed in a very covert location while still allowing easy access to obtain the recorded footage should you require it. We have various options for storing the recorded images. As standard the DVR is supplied with a 64GB removable SD card or you can choose to upgrade to a 2TB internal hard drive should you wish to. These systems can happily run full time with very little effect on your vehicles battery for up to 4 or 5 days. Safe & Sound Vehicle Systems offer a range of different powering options. You can have a simple switch to activate the vans the CCTV independently of the ignition been on or off. Or if you prefer full time Van CCTV and power drain is a concern for you then we offer the installation of a second battery, often known as split charge system or leisure battery. These second batteries can not only then be used to power your Van CCTV full time but also comes in useful for powering auxiliary LED van lighting in the rear which illuminates the area in an unrivalled clear & bright light. You may wish to add a 240-volt power inverter for charging power tool batteries on the go or making that all-important brew on those colder days. Van CCTV by Safe & Sound Vehicle Systems is available for installation throughout West Yorkshire but please feel free to contact us to discuss your requirements on any of our Van CCTV Systems, Split Charge / Leisure Batteries or Power Inverter installations.